Cadillac says its latest luxury SUV is prepared to do battle in the global crossover market. The all-new 2020 XT6 crossover is smaller than the well-known Escalade but still features three rows of comfortable seating. Up until now, the premium or luxury category has been controlled by BMW, Lexus, Mercedes, Acura and Infiniti. Cadillac believes it has plenty of room to grow its brand in the luxury market. In the last year, Lincoln has made inroads. The new XT6 features a more nimble driving experience that may be less intimidating to the driver who feels the Escalade is too large or difficult to maneuver. The 2020 Cadillac XT6 will be available in two distinctive variations. The premium luxury version will be trimmed with elegant wood, while the sport model will feature carbon fiber trim. The luxury version will have a smoother overall drive. The sport version will have a Sport Control active twin-clutch AWD design. It will have a faster steering ratio to give a tighter driving feel, with greater overall responsiveness. Both versions will have premium Bose sound systems with 14 speakers so every passenger can enjoy the music. The XT6 will feature the latest available technology, including a new night vision option. It will have advanced Adaptive Cruise Control and an HD Surround Vision Camera. The technology uses radar, cameras and sensors to help the driver be more aware of the pedestrians and vehicles near the SUV. The new technologies are designed to help drivers feel more confident driving the larger crossovers. 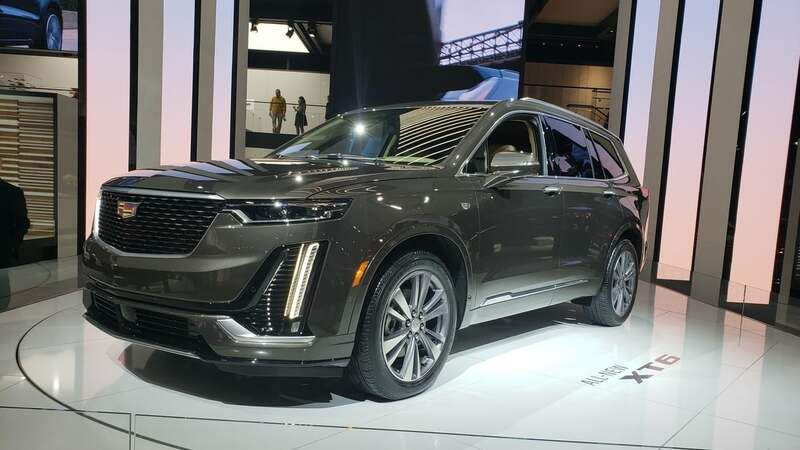 The XT6 is described as the most connected Cadillac ever, with wireless charging and USB ports available for all three rows of passengers. Both the luxury and the sport versions have a 3.6L V-6 engine paired with a nine-speed automatic transmission. The V-6 can kick out 310 horsepower. The XT6 will also have Active Fuel Management technology that can deactivate two of the cylinders and save fuel if the V-6 isn’t necessary. They will have up to four different driving modes that can be changed to suit different driving conditions. The XT6 will be built in Spring Hill, Tennessee, where the plant already builds the Cadillac XT5 and the GMC Acadia. Cadillac will release pricing and fuel economy numbers closer to the 2020 XT6’s release date.